Livestock and farm equipment are featured on this fair poster for Anderson County, Kansas. 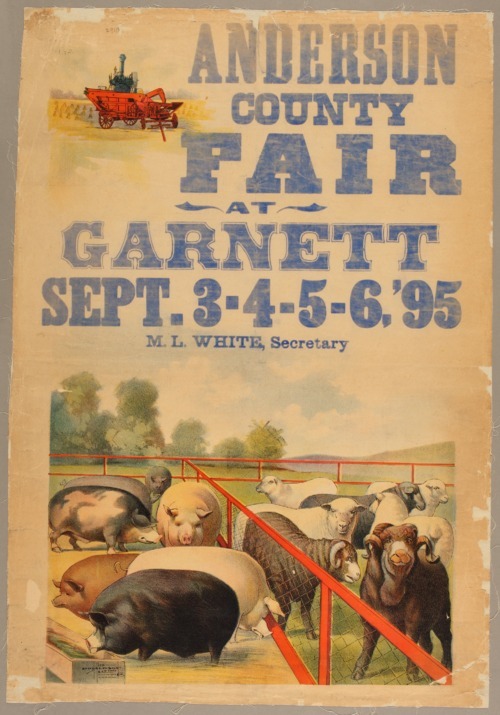 The fair dates are advertised as September 3-6, 1895, in Garnett. M.L. White is advertised as secretary of the fair.